Would you limit the availability of a miracle panacea if it made the difference between having a thriving company or leaving you and all your underlings unemployed and empty handed? A new simulation game that will be showcased at EGX London this Thursday, according to developer Twice Circled, propels this moral quandary. The game is Big Pharma, published by Positech, and its premise is the simulation of your very own pharmaceutical conglomerate. The simulator nonchalantly slams the aforementioned serious and real dilemma on the pharmacy counter with eyebrows raised, like a box of Trojans in front a teenager who went astray from his church group, whose group name is ironed on his shirt, because he swore one of the younger nuns gave him a look. The balance in question is currency vs. conscience. Players start from the bottom, like a song that, unfortunately, is seemingly glued in association with the humble phrase like an infected ‘rest-in-peace’ tattoo. Sorry for your loss(es). Eventually, your pharmaceutical venture can go from pumping out generics, to producing the good stuff, like antibiotics, for that grimly unfortunate infection you were having. You’ll even be able to innovate and develop revolutionary treatments. Presumably a pill that reminds you how to clean and maintain your rest-in-peace tattoo. Rival corporations turn up the heat, and force you to adapt and push out better and more profitable products to stay afloat. Seasons are taken into account as well. A treatment for an ailment common in the summer may not be a big seller in the winter. Such as Valium during the cavalcade of summertime EDM festivals and business trips. 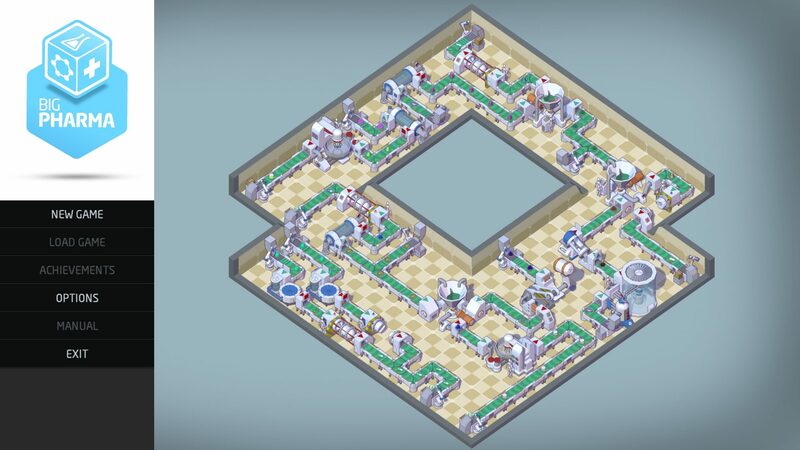 Big Pharma combines drug synthesis, business and marketing, and the puzzle of floor planning. It is scheduled for release summer 2015 for PC. For more information, visit the game’s official website.